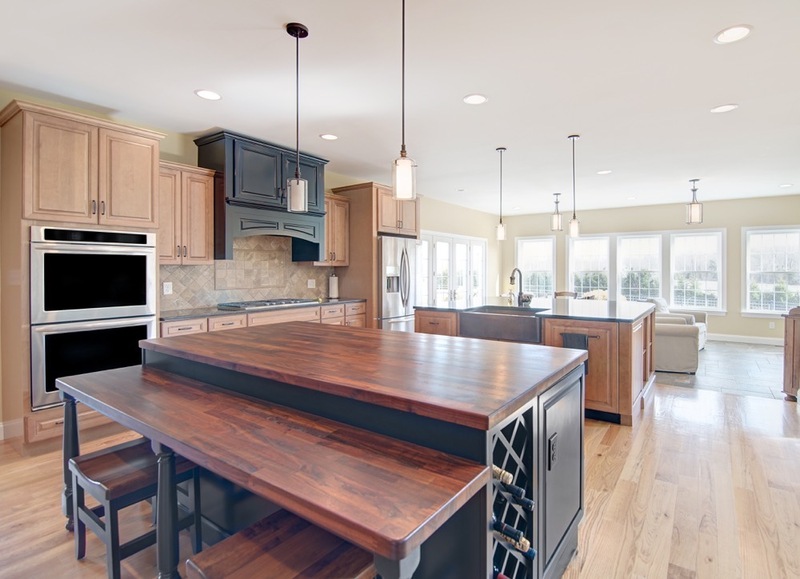 Kitchen/Sunroom: This is an addition that created a large, open kitchen with a sunroom that offers expansive views of the pool and pasture. 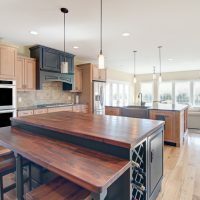 Unique walnut countertops and a stunning hand hammered copper sink are just a few of its custom features. 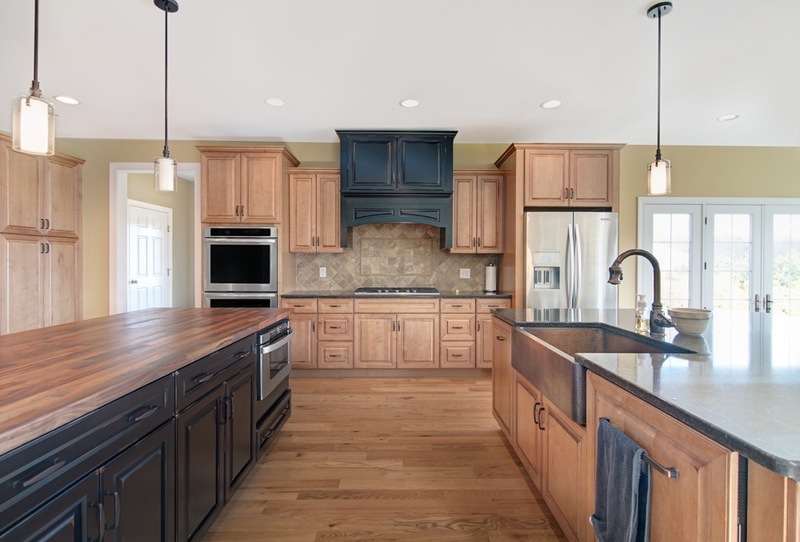 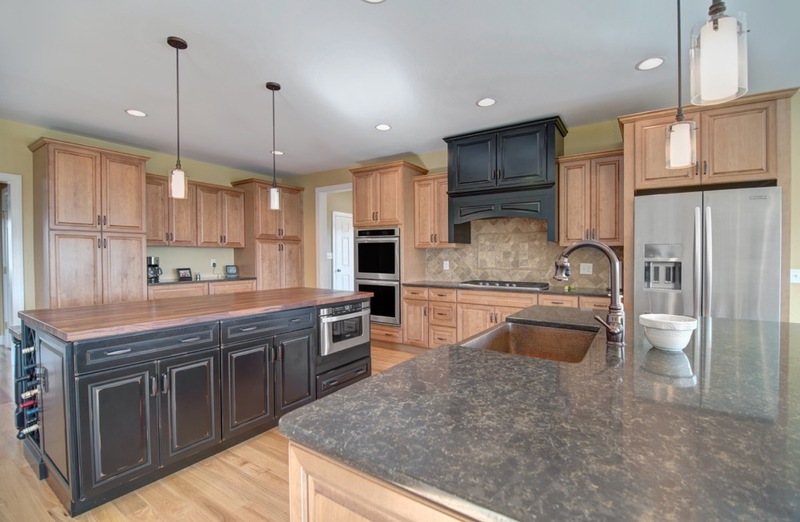 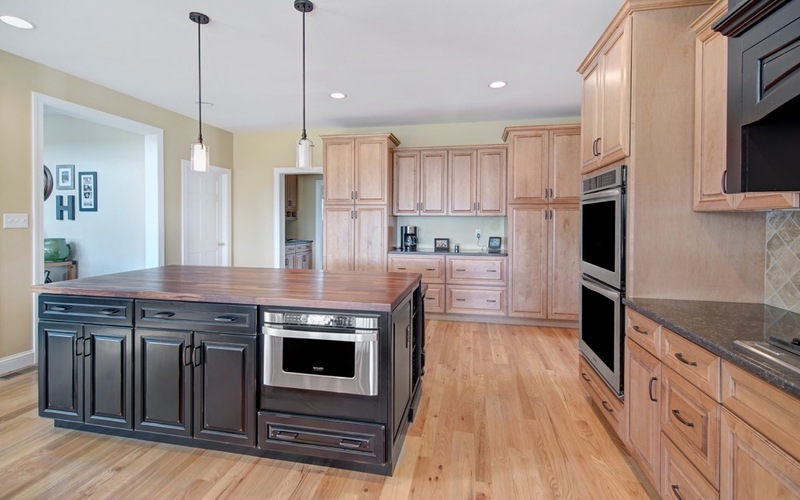 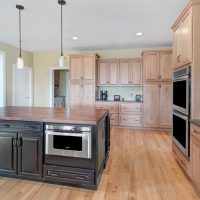 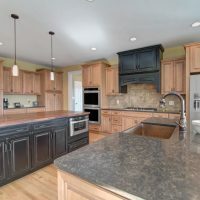 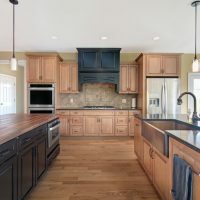 The mixed finishes on these Krafmaid kitchen cabinets add interest and beautiful detail to this room. 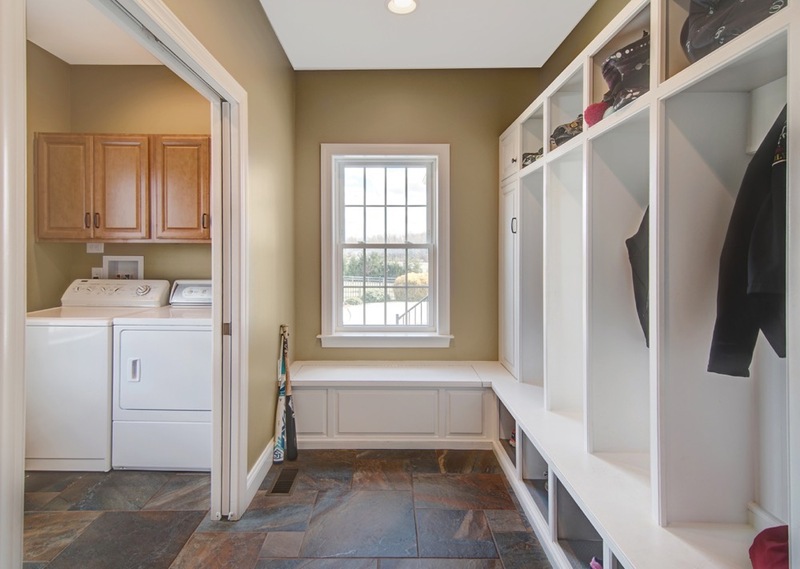 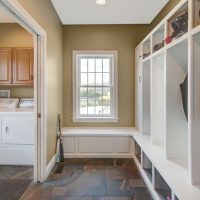 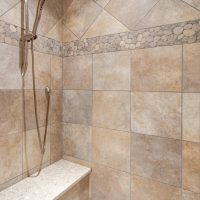 Laundry/Mudroom: The laundry room expansion features custom cabinetry and cubbies by Goebel Cabinetry and Daltile Ayers Rock porcelain tile floor. 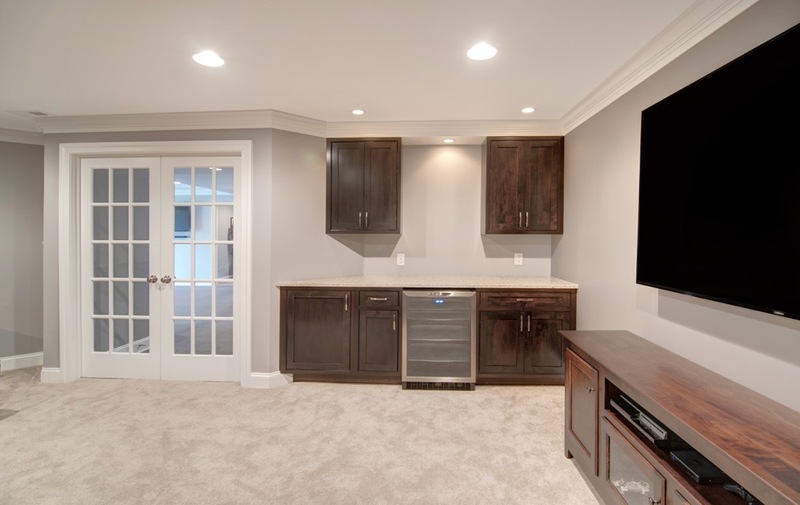 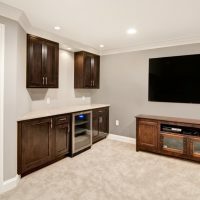 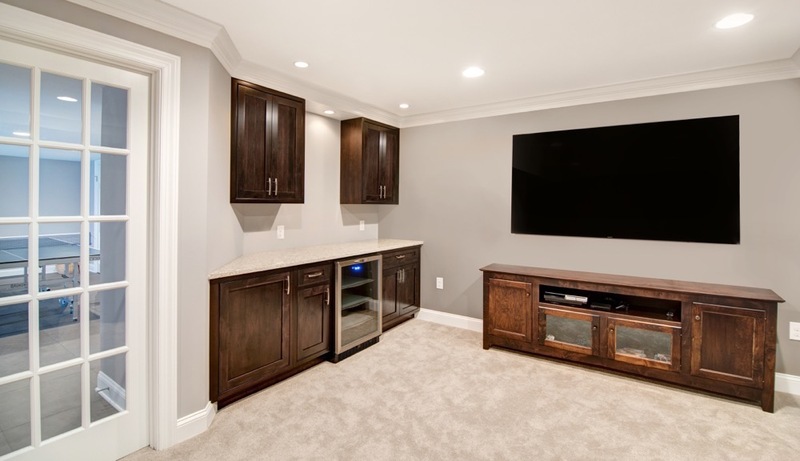 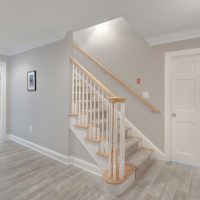 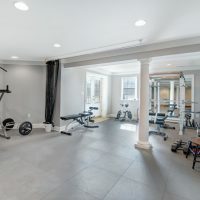 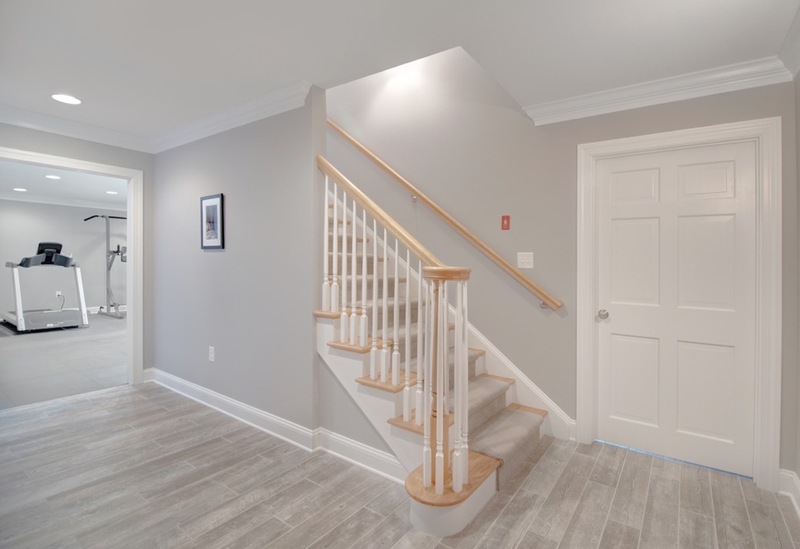 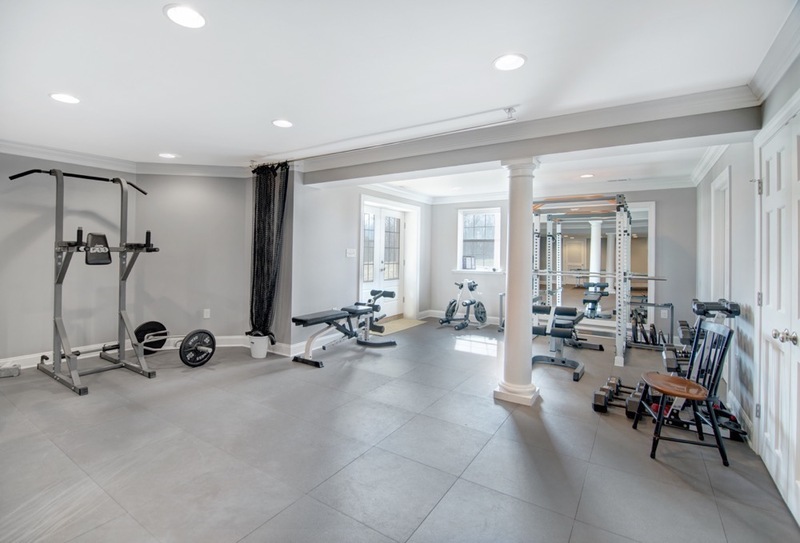 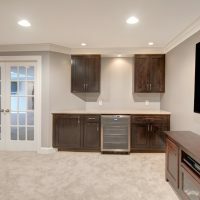 Basement: This basement was transformed from a dark utilitarian space to a welcoming light-filled functional space including; a bedroom, full bath, home gym, batting cage, and entertainment area. 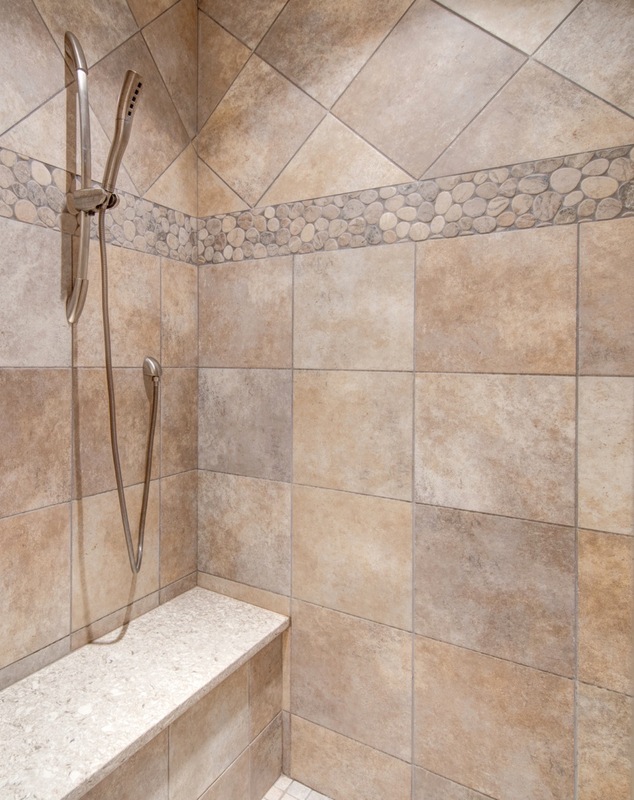 This includes features such as; wood grain porcelain tile, virgin rubber sports flooring, and a custom oak staircase.